The mission of The Naming Project is to create places of safety for youth of all sexual orientations and gender identities where faith is shared and healthy life-giving community is modeled. 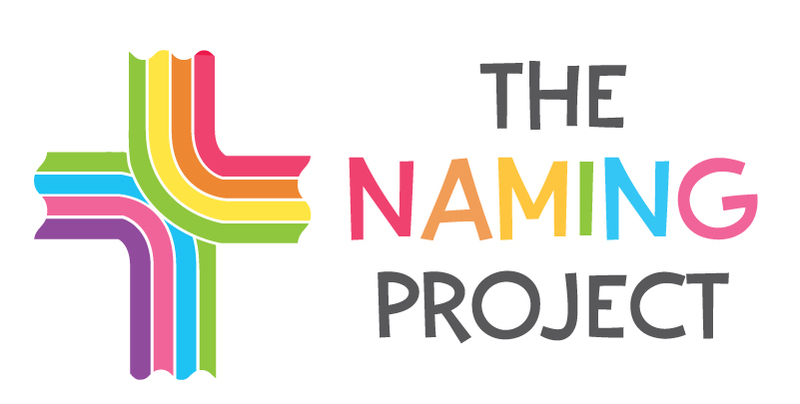 The goal of The Naming Project is to provide a safe and sacred space where youth of all sexual orientations and gender identities are named and claimed by a loving God; can explore and share faith; experience healthy and life-giving community; reach out to others; and advocate for systemic change in church and society. In Minneapolis in the fall of 2002 Jay Wiesner was approached by a Christian educator working with parents of a gay son who were looking for a safe environment for the youth to discuss his sexuality and also to understand himself as a child of God. Was there a place or organization that would allow the youth to have a healthy view of his sexuality and also talk about his spirituality? Jay began research with area pastors, youth directors, and educators and to look for educational resources and literature. While there were a few resources and books coming on to the market to discuss gay, lesbian, bisexual, and transgender issues and teenage youth, there did not appear to be any groups in that brought sexuality and spirituality together in conversation. Several area school districts had created strong LGBTQ youth groups and support groups, but none dealt with the area of spirituality-and they knew of few resources. In fact, in conversation with one youth group leader Jay was told that she didn’t see the use of a group that dealt with sexuality and spirituality. However, within two months Jay was approached by this same youth group leader who said that in the midst of the group conversations the youth now continued to talk about the Bible, the religious right, and question whether there was a place for them in organized religion. She encouraged Jay to find or develop such a group. It was during this same time that Ross Murray, a good friend of Jay’s, became involved in the research and initiated conversations with additional educators and youth development specialists. Having heard the stories of LGBTQ youth leaving congregations and moving away from spirituality, Ross agreed that something needed to be done. During the winter and spring of 2003, Ross and Jay continued work in organizing a drop-in center for LGBTQ and allied youth at Bethany Lutheran Church in Minneapolis. Names began to surface for an advisory board and Ross began the programmatic planning for the late spring and summer. In April of 2003 The Naming Project came into being. Recognizing that many LGBTQ youth (and adults) are called names throughout their lives-be it fag, dyke, lezzie-it was an imperative that youth know that in being created, baptized, and called they are given another name, “child of God.” The work of The Naming Project is to provide a safe space for LGBTQ and allied youth to discuss spirituality and sexuality and to remind each and every person of our being named as a child of God. As The Naming Project was being formed Brad Froslee arrived in Minnesota, having spent time in California and Massachusetts. In preparing for ministry Brad had two specific experiences while serving as a hospital chaplain in 1998, one was with a young woman wrestling with anorexia and bulimia who believed she would never look beautiful to her family or others, in part, because of her sexuality. This young woman believed that no matter how she looked or what she did God and her family would abandon her. Brad also encountered a 15 year old youth in the hospital who came out to him as a gay youth and was wrestling with whether he should even live, lie and find some unsuspecting girl to marry, or if there was a better option. Was there any place or were there any people that would allow him to be himself and for him to know that he was accepted? Having had these experiences, Brad knew that a space needed to be a space for youth to find community and know that they were safe and accepted for who they were. While in Massachusetts, Brad began working on the idea of a camp for LGBTQ youth that would hold components of faith and spirituality. Brad also had a vision of documenting this event either through a book or documentary. It was in 2003 that Brad Froslee and Jay Wiesner were introduced through connections and mutual friends. Brad and Jay began to bring together the ideas of a faith based drop-in center and a “church camp” for LGBTQ and allied youth. Within weeks Jay, Ross, and Brad were developing The Naming Project program with Brad directing and overseeing camp planning and development, Ross developing programmatic planning and fundraising, and Jay overseeing pastoral care and youth outreach. Together they worked on Board development and visioning. It took a year of preparation by the Advisory Board and staff to gear up for the first week of camp. In 2011, The Naming Project Summer Camp was featured on “Our America with Lisa Ling” on the Oprah Winfrey Network. The media attention gave a boost to the visibility of the camp, and even more campers began attending.